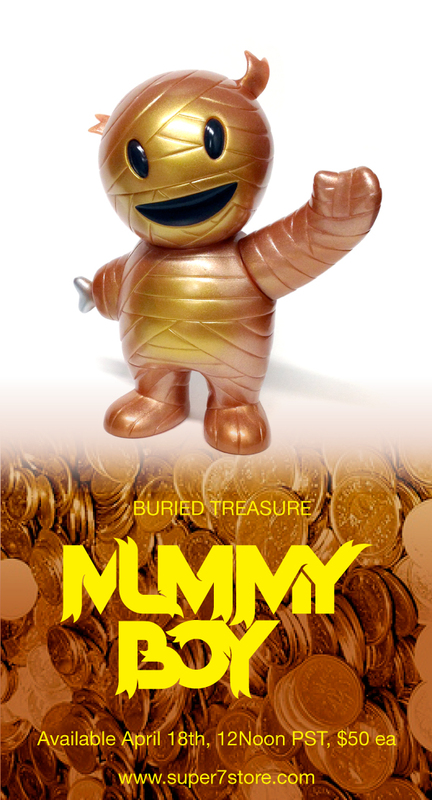 BURIED TREASURE MUMMY BOY – available tomorrow! From an ancient chest buried deep out of sight come the Buried Treasure Mummy Boy! He lost his arm and his mind long ago, but luckily not the map to Toy Pirate’s Booty! Cast in translucent orange vinyl with suspended aluminum flake, with metallic gold and charcoal sprays. SUPER7 LUCKY BAGS & GARGAMEL CUSTOMS – MAY 25TH!